Back in the Golden Age Of Hollywood, the Production Code literally meant that you weren’t allowed to mention homosexuality, but filmmakers still found ways to sneak things in. It appears the Coen Brothers are playing with that in their new movie, Hail, Ceasar!, at least if these new clips are anything to go by. They feature Channing Tatum as movie star Burt Gurney, who’s filming a musical where he has to put up with the fact that at sea, there will be ‘No Dames’. The first clip allows Channing to show off his singing skills, while in the second we get to see that when there are No Dames around, the boys will certainly find things to occupy their time. The film will be in UK cinemas on March 4th. Take a look at the clips below. The Coen Brothers seems to want to fill every role in their upcoming Hail Caesar with a well-known face, as they’ve already got the likes of George Clooney, Josh Brolin, Channing Tatum, Ralph Fiennes and Tilda Swinton, and now Variety reports that Scarlett Johansson and Jonah Hill are in talks to join them. The 1950s set story is about a Hollywood fixer called Eddie Mannix, who works for the movie studios to help their major stars from avoiding scandals and to keep their dirty laundry under cover. It’s now known who Jonah Hill will play, but Scarlett Johansson is playing an actress who becomes pregnant just before her latest film is about to start production. It works out as good timing for the actress, as she is pregnant herself, but as with several of the other roles in Hail Caesar!, it’s a relatively small part, so she’ll have plenty of time to complete it before she’s due to give birth. Shooting on Hail Caesar! is set to start in a couple of months time. The Coen Brothers are going for star power with their upcoming Hail Caesar!, as they already George Clooney and Josh Brolin attached, and now THR reports they’re set to be joined by Channing Tatum, Ralph Fiennes and Tilda Swinton. The film is about Eddie Mannix, a 1950s fixer who works for major Hollywood studios. His job is to try and keep the movie stars in line and also cover up their indiscretions. Tatum will be ‘a Gene Kelly-type star while Fiennes would play Laurence Lorenz, a studio director, and Swinton will portray a powerful Hollywood gossip columnist’ It’s still now 100% who George Clooney and Josh Brolin are portraying at this time, although it’s believed Clooney will be Mannix. Many of the Coens’ earlier movies harked back to Hollywood’s Golden Age and this would appear to be a return to their love of Tinsel Town in the 40s and 50s. It’s also suggested there are plenty more colourful characters in the script the Coens can find some great actors to play. The Coen Brothers are following their pattern of making a small idiosyncratic movie with a more mainstream effort, as after Inside Llewyn Davis they’re putting together Hail Caesar. It already has George Clooney attached and now Deadline reports that Josh Brolin will join him. The film is about Eddie Mannix, a 1950s fixer who works for major Hollywood studios. His job is to try and keep the movie stars in line and also cover up their indicretions. It isn’t clear who George Clooney and Josh Brolin are portraying at this time. Joel and Ethan Coen are set to direct from their own script. It just goes to show how useful it is to have a ‘name’ in the film world. If most filmmakers had said they wanted to make a movie about a misanthropic 1960s folk singer who spends the first 25 minutes of the film trying to get a cat back to its owner, they’d have been laughed out of the room. However the Coen Brothers have the sort of clout that can get things done. 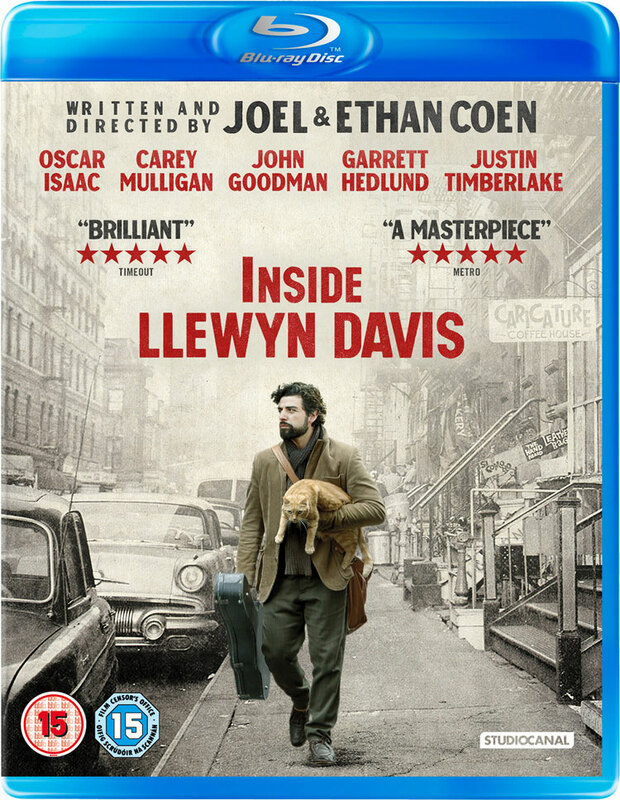 If they’d stuck to the original plan, Inside Llewyn Davis would have already been and gone from cinemas, but it was pushed back to a Christmas US release in the hope of getting some awards recognition. Now we get a new taste of the Coen Brothers’ film with a new trailer. 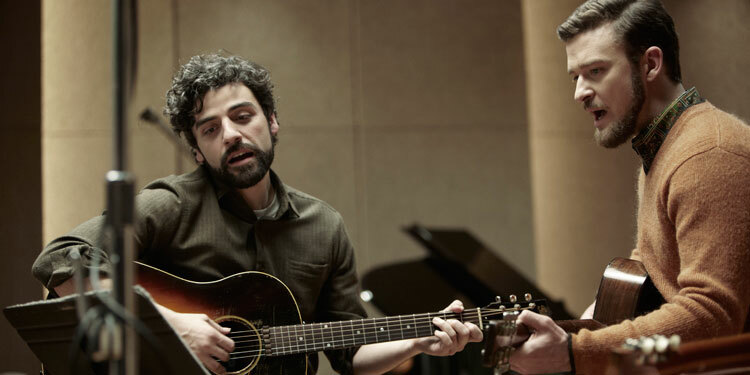 Oscar Isaac stars as the title character, a folk singer making his way through the Greenwich Village music scene in the 1960s. The movie is loosely based on the life of folk singer Dave Van Ronk. Carey Mulligan, Justin Timberlake, Gerrett Hedlund, and John Goodman also star. A new red trailer for the Coen Brothers’ Inside Llewyn Davis has debuted, which certainly shows off the directors’ flair, even if it is something a little different than most people expect from them (although if you look at their filmography, they are more eclectic than most give them credit for). It certainly looks stylish, with plenty of the Coens’ trademark sharp dialogue, although it’s definitely one of their more idiosyncratic efforts. The film debuted at Cannes and will get an Oscar-bait end of year cinema release in the US, with a January 2014 opening set for the UK.